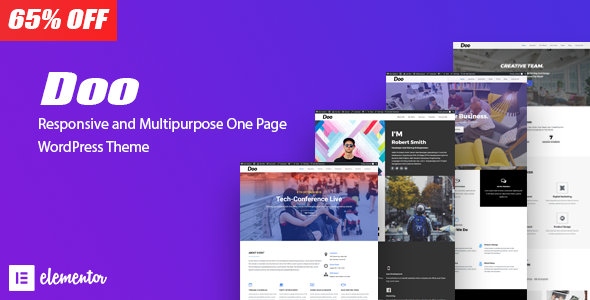 Doo is a creative & flexible one-page theme based on Elementor Page Builder designed with terrific attention to details can do anything with the power of WordPress, and again, no coding required! If you want a beautiful looking, fast loading, optimised for search engine, packed with lots of features One Page Website, or you need a Personal Website that conveys a creative message and displays your work portfolio at its absolute best then your search should end at doo theme . DOO supports all modern browsers (Chrome, Firefox, Safari) including IE11 and Edge.